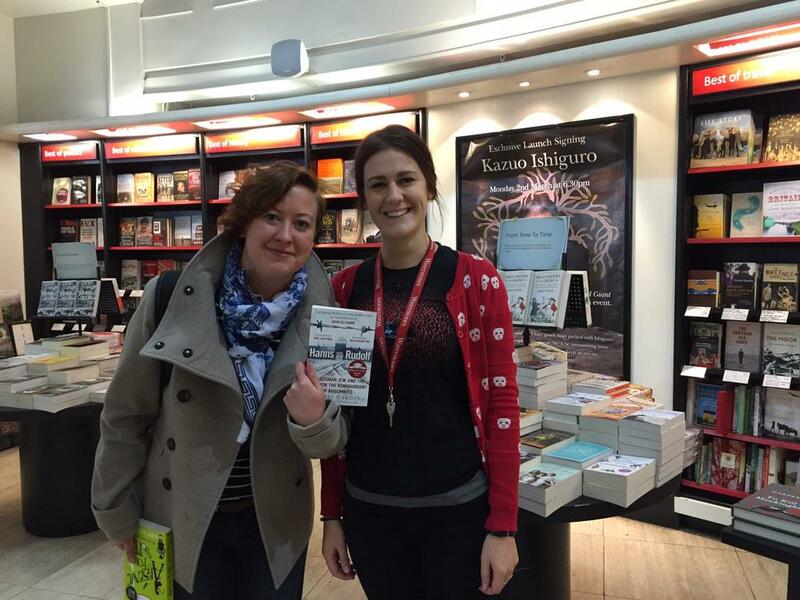 Waterstones Piccadilly: where’s the worlds biggest bookshop? Waterstones Piccadilly! So … well, so many books. There is difficult to say anything else, except that any store that has four or five floors of books is a store where I’d be happy to live. 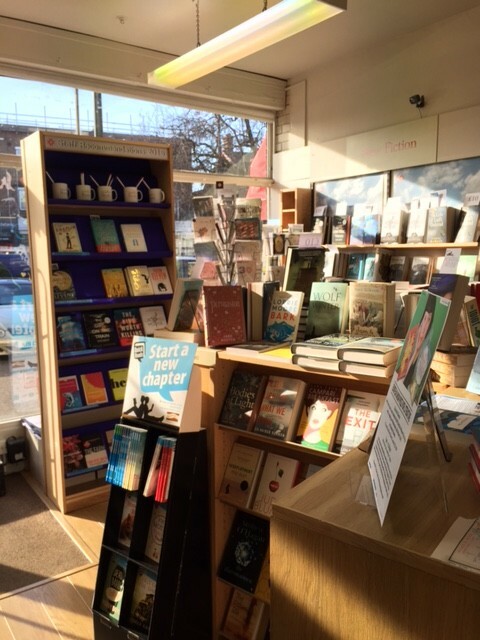 It was also here that I was reminded of one of the great things with this UK bookshop-tour: talking to booksellers about their own favourite recommendation. If you have nothing to do for an evening or a weekend, I highly recommend visiting your locan bookshop, ask the person behind the till for anything he or she has personally loved, and just buy it. Allow yourself to be surpriced. And enchanted. I think I also shocked Louise a little bit, with the wild abandon with which I books. I walked in there, saw I book, picked it up from the table, and a minute later decided to buy it, happily breaking my one-book-rule yet another time. “So you had wanted to buy that for some time?” Louise asked. Some seven days into my epic, 44 UK bookshops-trip, I think I have finally got the hang of Brittish weather conversations. The secret is to open with a smile, a nod and a simple “good evening”/”good morning”/tentative “hello” and then wait for them to initiate it. I failed to grasp this important point in London. If you open the conversation yourself, with a remark about the rain or the snow, you very much risk sounding like a foreigner critizing their weather. If you wait for them to say something about it, you seem like a visitor with a remarkable insight into the Brittish weather by simply agreeing with everything they say. One man even went so far as to show me the weather forecast on his phone, confirming the likelihood of snow, which I think shows that I’m making great progess in my conversations about the weather. 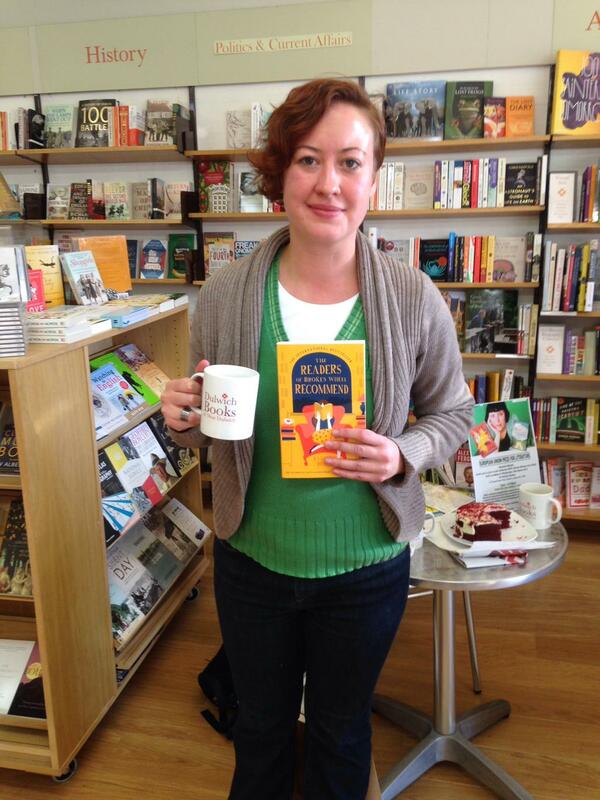 Well, all I can say is that she obviously never visited City Books. It is a charming bookshop in a charming town (perhaps more so now that the Prince Regent is no longer here), regularly organizing literary events and in general selling great books. 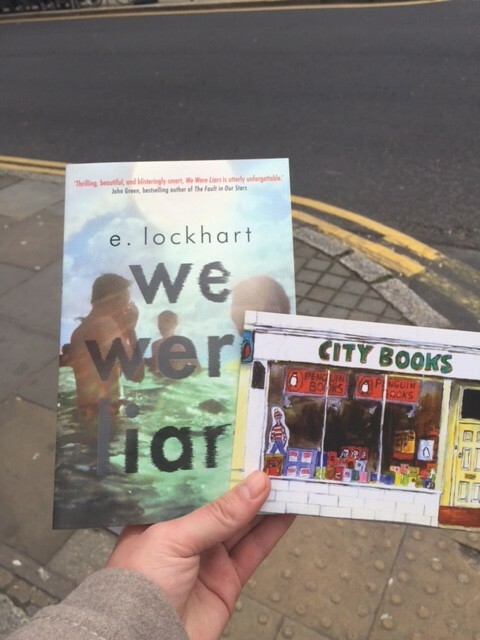 Their recommendation: We were liars by e. lockhart. I also got a lovely postcard to be able to write them and tell them what I thought about it, although I think I’ll have to get a Swedish one to do that, because I’m definitely not sending this postcard back to them. Definitely not parting with this postcard. It quickly became even more incomprehensible why people ever left Dulwich for something as dull as skiing, when they have not one, but two, absolutely lovely bookshops. Louise and I walked a very short bit, and visited awardwinning Village Books. Their recommendation: The Devil in the Marshalsea. 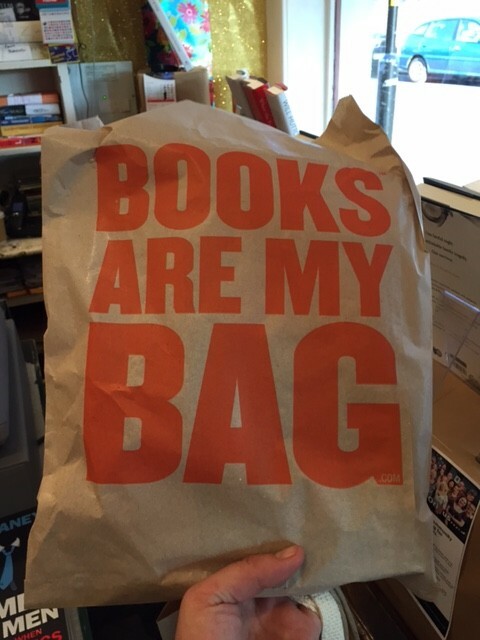 And I got a Books are my bag-bag. Such a great campaign. When they can visit their bookshop! What fools! But that of course only meant more tea and cake for me. Their recommendation? 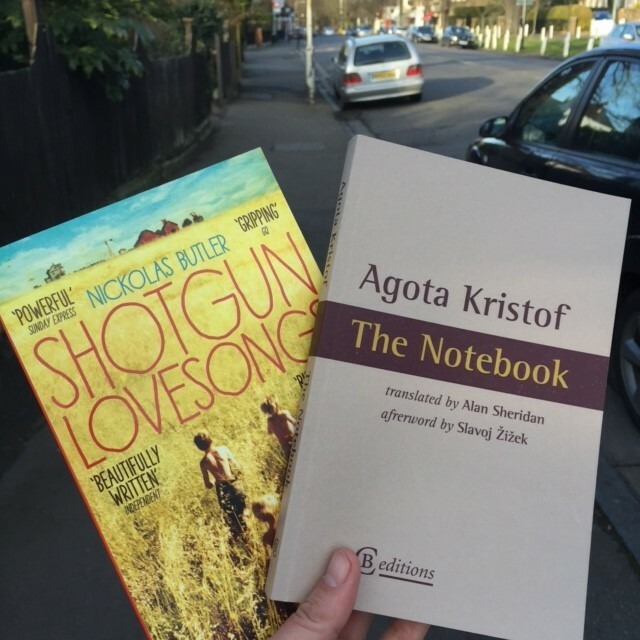 Shotgun lovesongs. But since we also talked about books that were brilliant but difficult to recommend, I had to buy one of those as well. Louise understood.